Quick update again today. 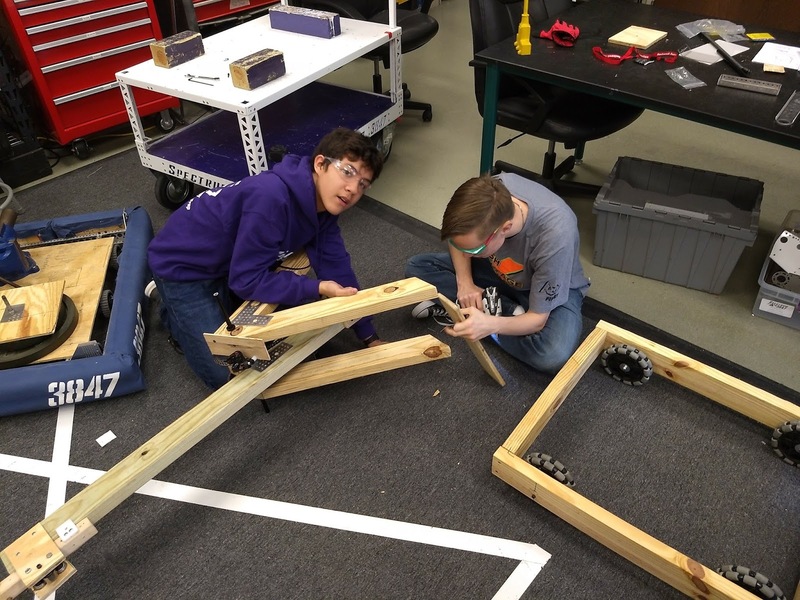 We are continuing some of the testing and finally deciding on a drive train. We didn't want to rush into our drive train design this year as we knew it could change a lot based on our robot design. 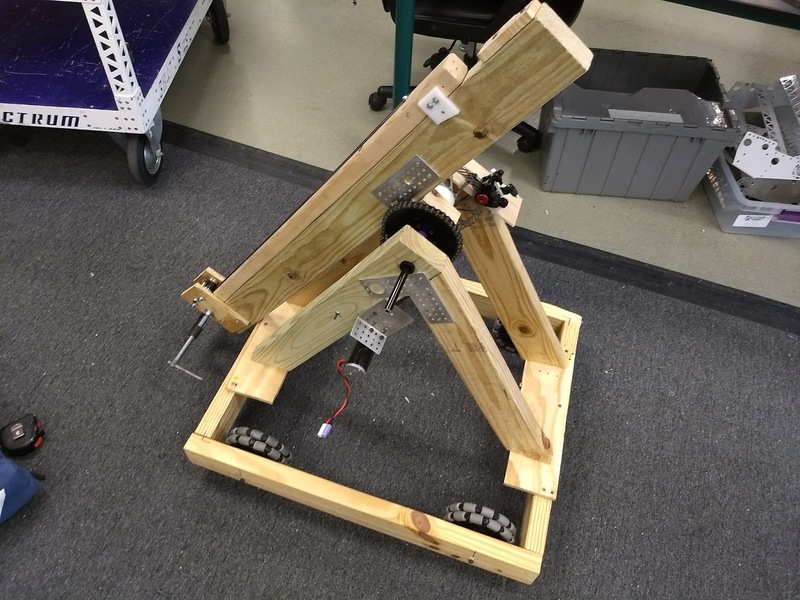 We still have some testing to do to make sure we can make the configuration we want work but we should be able to start getting it fully CADed this week. 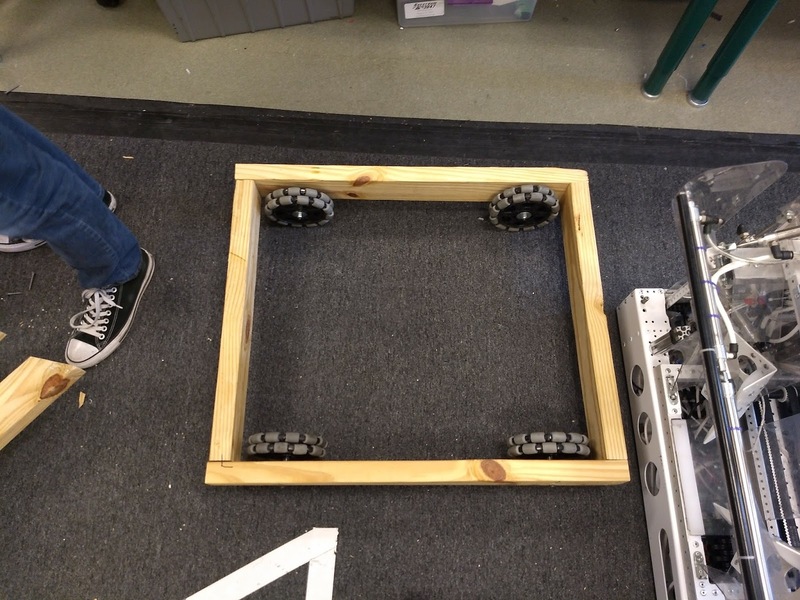 We also mounted the wooden arm on the robot base to make sure we will be stable with such a small wheel base (28.5 x 24.5). We added some weight (sand bag) to the arm as well to see if it looked like it would be unstable when we are holding a cube above our chassis.. The intake prototype is still in the works. Our 3D printer had some issues so it was slow going get all the pulleys we needed printed for the testing. “The ultimate measure of a man is not where he stands in moments of comfort and convenience, but where he stands at times of challenge and controversy.” - Martin Luther King Jr.